There are at least two perspectives of what ‘Medical Education’ means, and certainly many definitions. For doctors and other healthcare professionals, medical education means keeping up-to-date with a rapidly changing clinical practice and technology, and encompasses Continuing Professional Development (CPD). For the pharma industry, it means engaging with healthcare professionals, but its definitions of ‘med ed’ run the gamut from arm’s length educational grants and broad clinical education to promotional conversations about their drugs and therapy areas. Fears that industry and the medical profession have enjoyed a too-cosy relationship over the years has seen the rules of engagement become progressively more defined, and regulated. Consequently the industry, communications and medical education agencies must now take a more formal and transparent approach to providing medical education funding than before. Meanwhile, the demands of medical education and continuous professional development are also rapidly evolving as the regulatory demands on healthcare professionals increase. One of the most significant developments in England is the introduction of the five yearly revalidation system for all doctors later this year. All these changes present obstacles to a good relationship between pharma and healthcare professionals, and make it harder for pharma to provide the right kind of medical education at the right time. From the pharma industry perspective, industry executives with responsibility for medical and marketing budgets must now justify their spending. Proof of ‘Return on investment’ (ROI) is now demanded more than ever before, but in medical education this is often very hard to demonstrate. Finally, the emergence of new electronic media, such as mobile devices and social networking also raises questions about the most appropriate and most effective ways of communicating and providing education to healthcare professionals. All of these themes were explored at InPharm’s conference - Medical Education in Practice: Pharma’s Role in a Changing Landscape, held in London in April. Once fully qualified, the NHS does not help doctors or other healthcare professionals keep themselves up-to-date. Doctors are nevertheless obliged to maintain continuing professional development (CPD), and need to keep up with the fast-paced world of medical innovation and practice for the rest of his or her professional life - and this is where CPD comes into play. 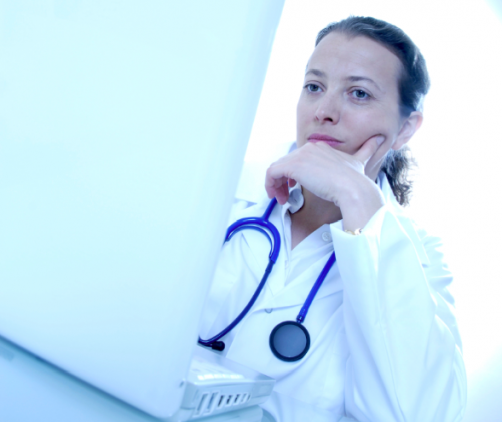 All doctors must accrue a certain amount of CPD credits each year to prove that they are maintaining their education. This can include reading articles in professional journals, attending seminars in person or online, or taking formal written or practical exams and tests on key subjects. And as there is no central budget to fund CPD, this is where the pharma industry has traditionally stepped in to fill the gap. Pharma, as the originator of new medicines, is of course well placed to provide training on them in one sense, but unease about the line where education stops and promotion begins means this relationship is now being re-examined. Richard Marchant, assistant director of regulation policy and professional development and revalidation at the GMC, outlined the new revalidation system and what it means for CPD and medical education. Revalidation will require doctors to prove their fitness to practise and renew their licence every five years. This new approach aims to give patients a regular assurance that licensed doctors are up-to-date and fit to practise. CPD is seen as a key component of revalidation, being one of six types of supporting information that doctors will be expected to provide and discuss at their appraisal at least once in each five-year cycle. Marchant says the GMC is not planning to police doctors over their medical education. There is nothing specific in any guidelines about pharma’s involvement in CPD, and Marchant says the GMC ‘has no qualms’ about the industry funding medical education programmes. He adds there is nothing intrinsically wrong with organisations that have a financial stake in a particular product offering training courses in the use of that product, as long as everyone is absolutely clear on the terms of the engagement, he says. In many cases, that training might not be otherwise available, “so one needs to recognise the reality of these situations”. The GMC launched a consultation on key issues last year, and the results of this will be published in June. This revised guidance, he said, is for doctors planning, carrying out and evaluating their CPD. Marchant warned against creating ‘industrialised CPD’ for practising clinicians - it should be up to doctors how they maintain their own education, he said. But the GMC wants to make sure that any efforts ultimately benefit patients, rather than simply meeting the needs of individual doctors, and Marchant said this is the primary reason the GMC has become more involved in CPD. Dr Kieran Walsh is clinical director of BMJ Learning. An expert on how doctors (and other professionals) learn, Dr Walsh has done extensive research on return on investment in medical education. He says medical education providers have still a long way to go in measuring the effectiveness of their educational programmes. “Just like cost effective healthcare, we should have cost effective medical education, but we don’t.” He said e-learning was clearly an area of growth, but it was still not well understood in terms of how its potential could be maximised. Walsh said practical learning methods, including simulation had proven its effectiveness outside medicine. Drawing on how the training of airline pilots has developed in response to air crashes by using simulators, he said medical simulation learning had been shown to help change skill levels and confidence. He added that research showed that ‘hi-fidelity’ simulations which were able to mimic reality closely were not necessarily more effective. He said measuring changes in behaviour after training was difficult, but not impossible. One simple method would be send out an email-based questionnaire eight weeks after their course. However, most systems have a weakness, and this like other self reported data would not always be a useful metric. Dr Walsh also conceded that the far from opening up doctors to greater interaction with pharma, internet- based education and social networks were difficult for the industry to penetrate. Jason Miller, national account manager at Pfizer spoke about Therapeutics PLUS, a web-based learning resource targeted at non-medical prescribers (NMPs). These including nurses, pharmacists, optometrists, podiatrists and physiotherapists who prescribe over one million drugs each month in the UK. The site has been developed by Prescriber, NPC Plus and Keele University, and initiated and funded by Pfizer. The programme is designed to support NMPs with their continuing professional development as an extension to the NMP prescribing qualifying course. Each module covers one area of therapeutics and includes suggestions for CPD activities. Therapeutics PLUS has six modules available to test prescribers’ knowledge, and include: Management of chronic asthma, Neuropathic pain, Smoking cessation, COPD, VTE, Female urinary incontinence. The company has an agreement with Keele University and will continue to endorse the site as long as the online programmes are kept updated when the therapy area changes. But what’s in it for Pfizer? Miller says the company is not looking at a return on investment for Therapeutics PLUS, adding that there were no marketing messages within the site. He said its value would be judged on the numbers of people using the site, and by building better relationships with pharmacists and other non-medical prescribers. It was not about ‘pounds, shillings and pence’, he said, but rather about getting value through new partnerships. Tim Dean, publisher of Prescriber at Wiley commented: “I think one of the principle challenges of providing CME, but one of the easiest to get wrong, is in identifying a genuine learning need. It’s very easy to start out by meeting a need which only looks like a good thing to do. Andy Powrie-Smith, director of Trust and Reputation at the ABPI gave the conference an overview of his work with health professional groups, and a major research project into how to improve relationships. Powrie-Smith says that medical education covers a very broad spectrum of interactions, which makes it difficult to define. He say it encompasses: “tea and biscuits at a GP surgery, a conversation with a medical science liaison about a new medicine” to “the American Thoracic Society Conference in San Diego, and all points in between”. The ABPI is in the middle of a major research project to understand how pharma should interact with healthcare professionals. The first stage of the research programme was qualitative, and sought to define the parameters for a second quantitative stage of the research. In the first stage, the researchers decided to set out six different hypothetical scenarios of interactions between healthcare professionals and the industry, and ask healthcare professionals how comfortable they were with the situation. He says the overwhelming message from the qualitative research was that healthcare professionals believe relationships with the industry could be positive and mutually beneficial. “The most important thing which came out, by a million miles, was content,” Powrie-Smith says, meaning that if the healthcare professional felt the educational programme fitted their needs, then they could manage any potential conflict of interest concerns themselves. They were basically saying: “I’m a grown-up, I know when something is promotional or not”. Powrie-Smith said he realised that pharma companies also need to make the most of their investment in medical education, but adds the ABPI has not detected any trend for pharma to withdraw funding from any particular field in medical education. New guidance has been formulated by the Ethical Standards in Health and Life Sciences Group (ESHLSG) which is comprised of leading figures from the professional, representative and regulatory bodies from the health professional community and life sciences industry. The group was set up to address issues which affect relationships between commercial organisations and health professionals and ensures that they meet the high expectations of stakeholders, and particularly patients. The new guidelines set out some basic rules of conduct for both the industry and for healthcare professionals when dealing with each other. For the health professionals these include treating the representative with respect, and not imposing any blanket bans on access. Powrie-Smith says agreement on guidelines for healthcare professionals in this respect is a very significant shift in the perceptions and attitudes to working with the industry. Powrie concluded: “We need to be careful that we don’t always say it is all about the education” because actually industry values developing the relationships for their own sake. Lawrence Sherman is a clinical trainer in emergency medicine from New York and also a specialist in regulations and guidelines in CME, international/global CME and CPD, and on the use of emerging technologies in med ed. Sherman hammered home the message that education of any sort was only useful when it is based on the needs of the users. And there are no shortcuts to guaranteeing it is useful except by checking with the end users. This must involve finding out where the gaps in their knowledge lie, though this is not always easy. He says this is because of the dilemma of “not knowing what you don’t know”. As for measuring effectiveness, Sherman says there are many ways to do this. For instance you can monitor ‘performance level change’ in which they are assessed in how they change their behaviour in choices of how to treat a patient, he said. Other good systems are problem-based learning and using ‘virtual patients’ to help re-create the conditions of real-life medical practice and interaction with patients. All of these approaches were better than the traditional methods. “You can’t say how many people were online or in a room, and say that proves it was a success.” Sherman was asked about how pharma should approach social media in Europe, and how it could deal with the concerns relating to responsibility for pharmacovigilance reporting. But Sherman indicated that much US-based CME suffered from box-ticking regulation which often ruined good programmes. “You can get programmes where the course is two and a half hours long, then the evaluation of that course takes three and a half hours! The UK looks unlikely to follow the US in adopting sometimes extreme measures designed to eliminate conflict-of-interest. Nevertheless, pharma must continue to work hard to foster mutually beneficial relationships with healthcare professionals to ensure a gulf in understanding and aims doesn’t open up.